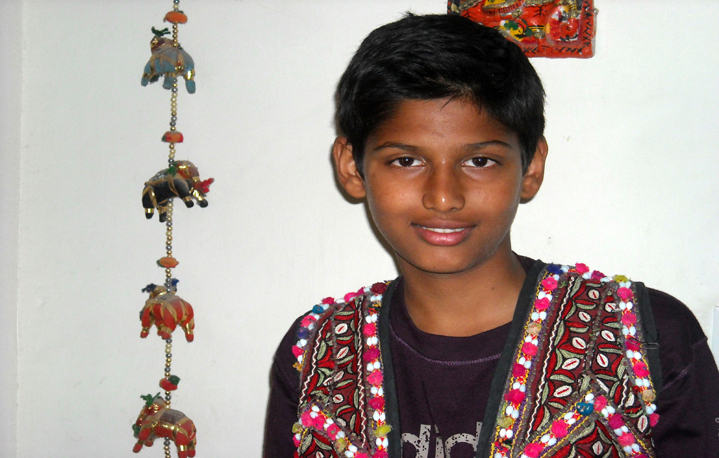 Mochi Bharat is a chain stitch prevalent in Barmer district .The cobblers prepare leather footwear by chain stitch and expertise in decorating these goods with embroideries which gradually evolved into the textile decoration. 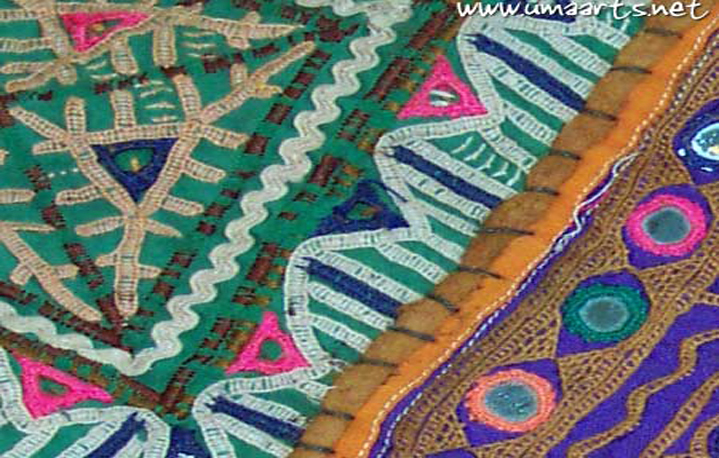 Hand –spun and hand woven khaddar is the base material for the articles. 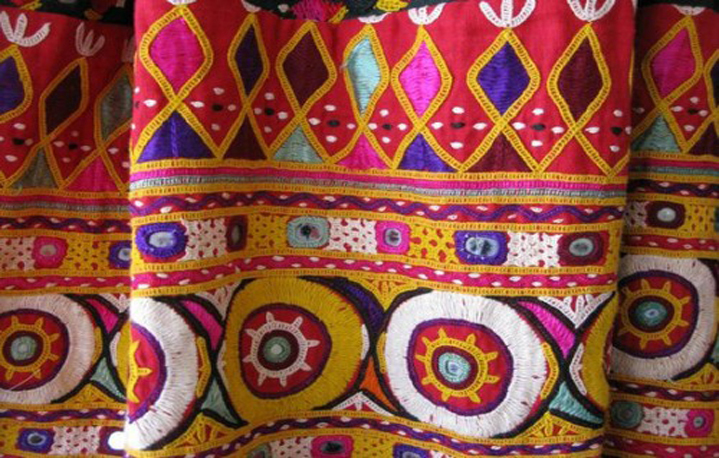 Coarser fabric is used for having ghagras and cholies and finer and lighter variety for odhanies .The base colors were blue, red and black. Green color is very rarely used as a base. 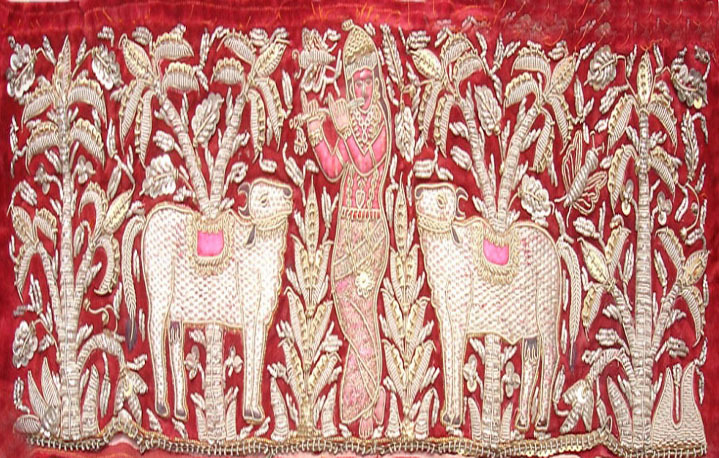 Embroidery is worked with either cotton or silk untwisted thread called ‘Pat’. 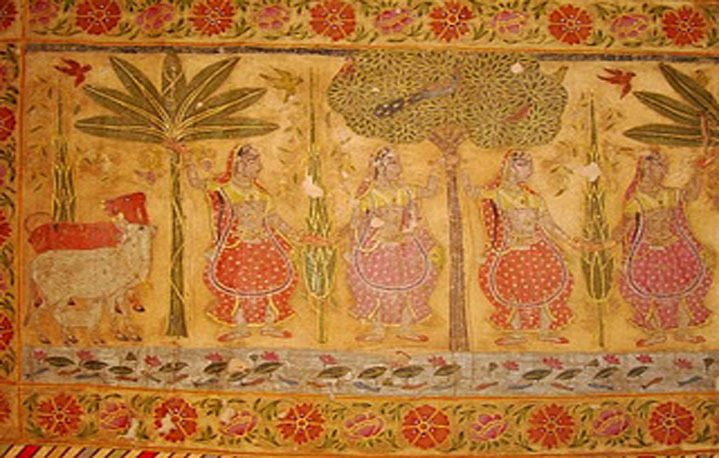 The needle used for Moch Bharat is Called Ari or Katharni, Which is very fine awl, having a small notch just above the point to form hook.The main motifs come from bird, animal and, floral kingdoms.